I can't take a nice food picture for the life of me...I know this is yet another dish that does not look appetizing but it is! Provided that you like salmon :) And yes...that is a picture of salmon! It's a quick, easy, and relatively healthy dish that you can prepare and serve in about 30 minutes. Keep on reading for the recipe for this delicious and light meal. Place salmon in a shallow square baking dish. Brush top of fillets with 1 tbs teriyaki sauce, coating evenly. Sprinkle with sesame seeds. Stir water into remaining sauce and pour around salmon. Bake for 10-15 min depending on thickness of fillets, until salmon is just cooked through and sauce is bubbling. Remove salmon from heat. In a small bowl, gently mix together radish and chives. 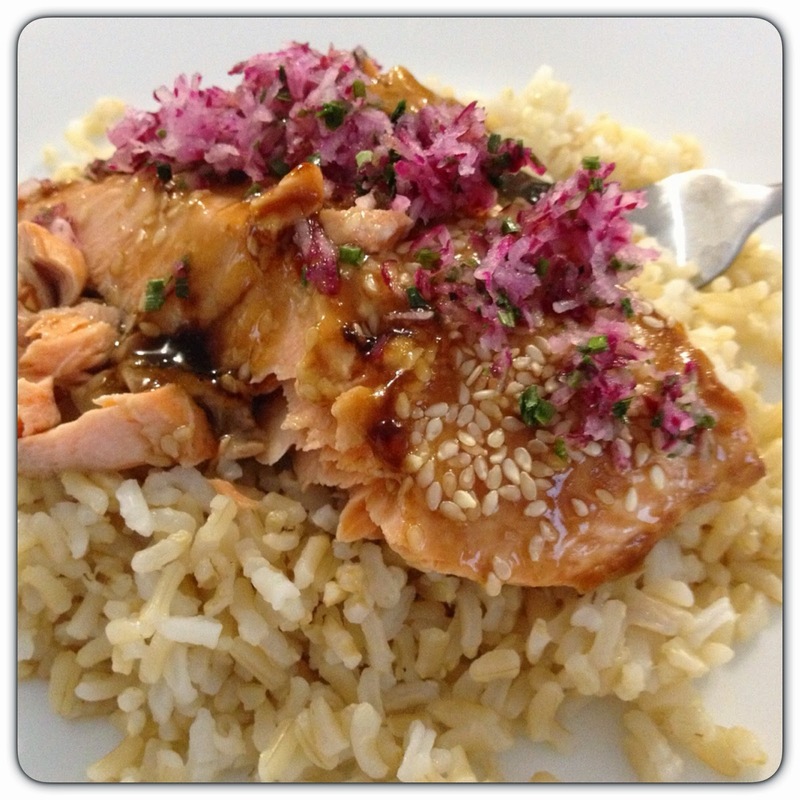 Serve over rice and dress fillets with sauce from baking dish, top with radish mixture and drizzle with sesame oil.